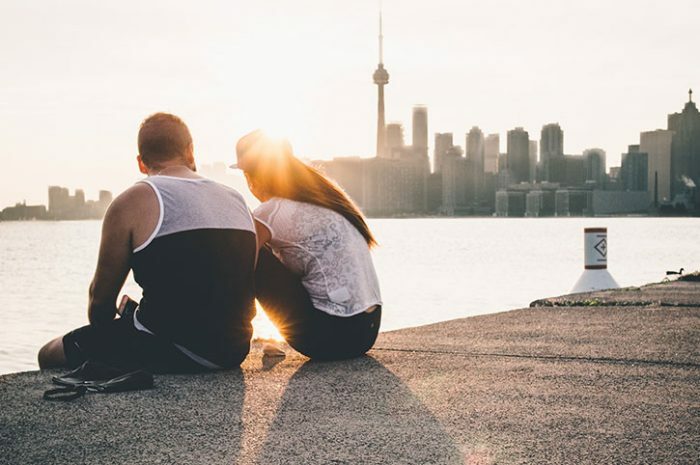 Explore Canada’s cosmopolitan cities, proud French and British heritage and majestic natural landscapes, from the cascading waters of Niagara Falls, to the pretty meadows, forests and ice wine vineyards of Ontario and Quebec. Travel to Niagara Falls for panoramic views of the thundering cascades before an exhilarating boat ride to the base of Horseshoe Falls. This evening, enjoy a Be My Guest experience at a family-owned winery. Enjoy an exclusive tasting of their award-winning wines, including ice wine, a specialty of the region. Sample some of Niagara’s regional cuisine created with local seasonal ingredients. Enjoy an exhilarating and scenic helicopter flight and experience the views of the awe-inspiring Niagara Region as you gently lift off over the Whirlpool Rapids and Rainbow Bridge. 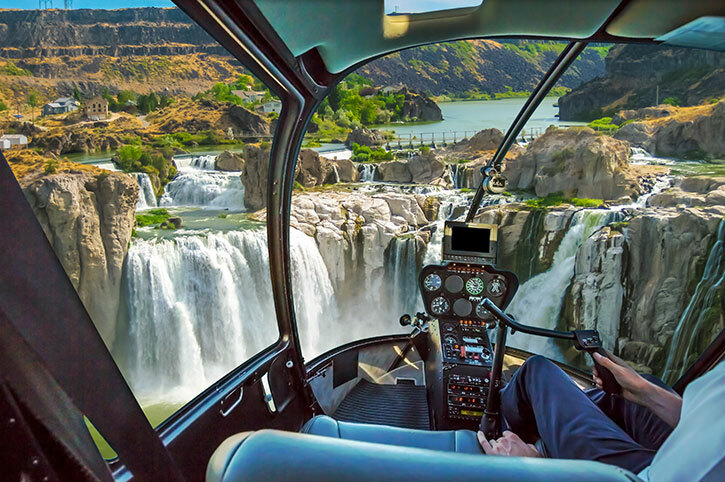 See the green grass and floral beauty of Queen Victoria Park stretch below you as the helicopter passes by the American Falls and Skylon Tower. The original all-Canadian musical experience! 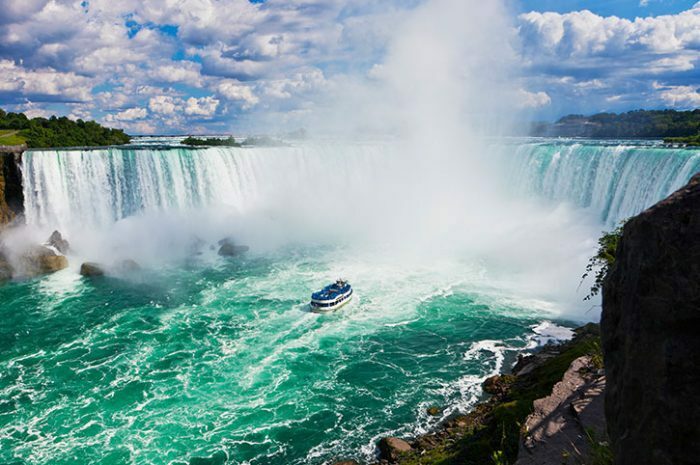 Located in Niagara Falls, the award-winning Oh Canada Eh? Dinner Show has entertained over 800,000 guests from around the world and is the seven-time winner of Niagara Falls Tourism’s Attraction of the Year. This two hour show features all-Canadian music; from maritime folk songs to modern pop. Come meet our singing Mountie, Hockey Player, Anne of Green Gables, Klondike Kitty and more. Full of laughs, this musical celebration of Canada will delight audiences of all ages. While you’re enjoying the show, performers serve a famous all-Canadian, family-style meal: French Canadian Pea Soup, Garden Salad, Fresh Bread, Alberta Grade Eh? Roast Beef, Lightly Battered and Fried Atlantic Haddock, Manitoba Roast Chicken, New Brunswick Vegetable Medley, PEI Potatoes and Maple Chocolate Cake for dessert. At what other restaurant are you served your dinner by a singing Mountie? A new, re-imagined version of the Oh Canada Eh? Dinner Show is now on stage. This high energy production features over 65 songs from all-Canadian artists including music from Celine Dion, the Bare Naked Ladies, Shania Twain, Avril Lavigne and Paul Anka. Approx. duration: 2 hours. 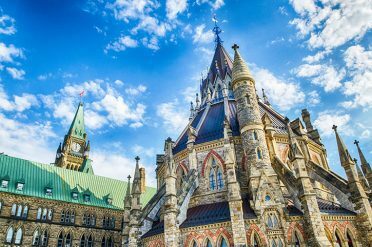 Travel along the shores of Lake Ontario for an orientation tour of Canada’s first capital, Kingston, with its beautiful historic buildings. 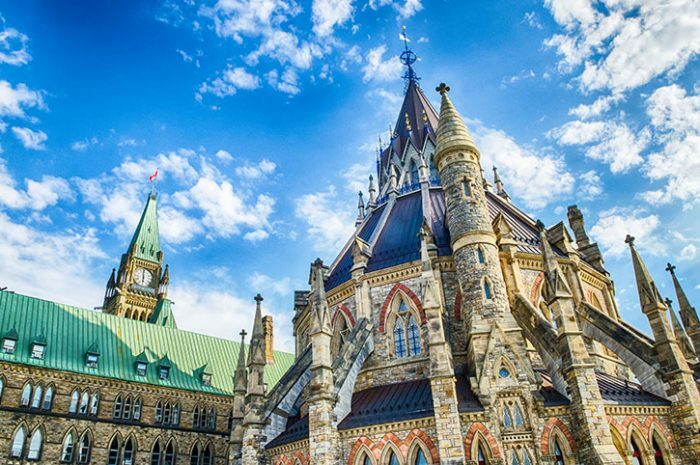 Once in Ottawa, embark on an introductory tour, viewing the elegant buildings of Parliament Hill, Rideau Hall, the residence of the Governor General of Canada, and the beautiful downtown parks. Enjoy dinner at a local restaurant. This morning, travel to Parc Omega, a safari park that is home to many different kinds of wildlife. Later, find yourself in Quebec City. C’mon aboard Ottawa and Gatineau’s premier sightseeing vessel, the Empress of Ottawa, and capture unique and spectacular views of some of the city’s attractions such as the Parliament Buildings, Canadian Museum of History (formerly Canadian Museum of Civilization), Rideau Falls, and the Prime Minister’s residence. With these landmarks as your backdrop Capital Cruises is the ideal way to tour the Ottawa River. Feel free to roam about our two enclosed decks and the third open-air deck to find their ideal spot aboard. Subject to weather conditions. Approx. duration: 4 hours. Join us for a special evening on the Ile d’Orleans. 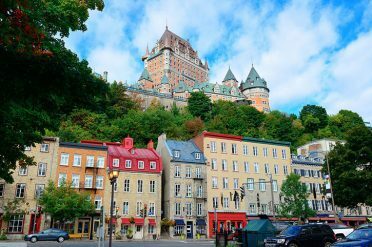 Located a few miles east of downtown Quebec in the St. Lawrence River, the “Island of Orleans” was one of the first areas occupied by early French colonists. Gaze upon the towering Montmorency Falls; higher than the Niagara Falls, the impressive Montmorency Falls stand 83 meters (272 feet) tall. The falls form at the mouth of the Montmorency River, where it drops over a cliff into the St. Lawrence River. Then travel through the rolling farmlands to the south side of the island and stop for a dinner at Le Moulin de Saint-Laurent Restaurant with renowned Chef Martin Pronovost, who has been nominated for a Crystal Award in the category `Canadian Chef of the Year` in both 2010 and 2011. Passionate about food and with an eye and ear always looking toward trends, culinary innovation remains a continual objective. To that end, with abundant creativity, Martin prepares meals with great passion and the result is a flavorful table for you to discover. Approx. duration: 3 hours. After departing Quebec City, stop at a local cabane a sucre (sugar shack) to learn about all things maple syrup and enjoy a traditional local lunch. 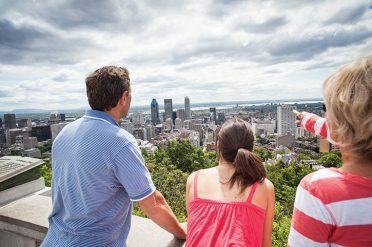 Enter Montreal, the largest French-speaking city outside of France, and stop at Mount Royal (the hill that gave its name to the city) for panoramic views over one of the loveliest cities in North America. 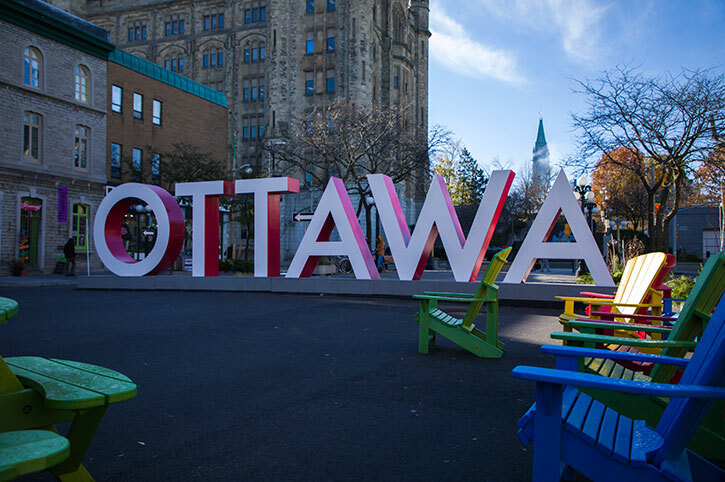 Meet your Local Specialist who introduces you to the historic sites of the city, including spectacular Notre Dame Basilica, the colorful Old Port area and the modern downtown. The afternoon is yours to explore the city. Tonight, toast your Eastern Canada adventure at a Farewell Dinner. Bid au revoir to your new found friends as you are transferred to Toronto International Airport. All prices are per person, based on 2 sharing a twin room, and include meals where shown. Call Freedom Canada for departure dates and availability. Seasonal variations may apply – call or enquire now for more details. Itineraries may vary for tours departing from 1st April 2019 onwards.